The cycling world, and especially the indoor cycling world, is abuzz today with the news that Garmin has signed a definitive agreement to acquire Tacx. Garmin is headquartered in Olathe, Kansas, USA and has pioneered new GPS navigation and other wireless devices designed for people who live an active lifestyle. Garmin actually serves several “non-fitness” markets as well, including automotive, aviation, and marine. Tacx is headquartered in Wassenaar, Netherlands with a distribution center in Vogt, Germany. They are best known in the cycling world for their indoor trainers, with their Neo and now Neo 2 being the flagship products, (arguably) at the top of their class. Their staff of 200 will be joining Garmin’s global team. The completion of this acquisition, which is subject to customary conditions, is expected to occur in Q2 2019. Tacx is a privately-held company, so financial terms of the acquisition will not be released. This move brings Garmin definitively into the indoor cycling space, an area where they have never had a strong presence. While they are the market leader in cycling computers used outdoors, they don’t sell any devices specifically for the indoor space (such as bike trainers). Wahoo, arguably the world’s top manufacturer of smart trainers with its KICKR line, began moving into Garmin’s territory when it released the Elemnt bike computer back in early 2016, closely followed by the Bolt and Elemnt Mini a year later. Of course, competition is good for the consumer. When firms compete, consumers get the best possible prices and quality. Tacx’s Neo is an amazing trainer (my wife rides one herself), but they continue to sell a confusing line of fairly poor wheel-on trainers known to lack accuracy and durability. And while they should be applauded for innovation in the indoor space, their Neo Bike Smart is vaporware thus far, and the Magnum Smart Treadmill is still only available in four countries, at a price of $10k. 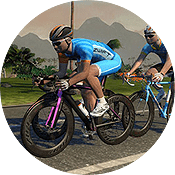 In addition to their trainer business, Tacx still has Tacx Trainer Software (TTS), an outdated “Zwift-like” system, as well as Tacx Films, real-life videos that integrate into TTS. My hope is that Garmin will bring more focus and consistency to Tacx’s product line, narrowing the catalog to (perhaps) three levels of updated, reliable smart trainers while getting the Neo Smart Bike launched. We will certainly see tighter integration between Tacx trainers and Garmin computers, which can only be a good thing. It may even be that within a year or two Garmin will have developed an “indoor ecosystem” akin to Wahoo’s, effectively forcing cyclists to choose between two camps. 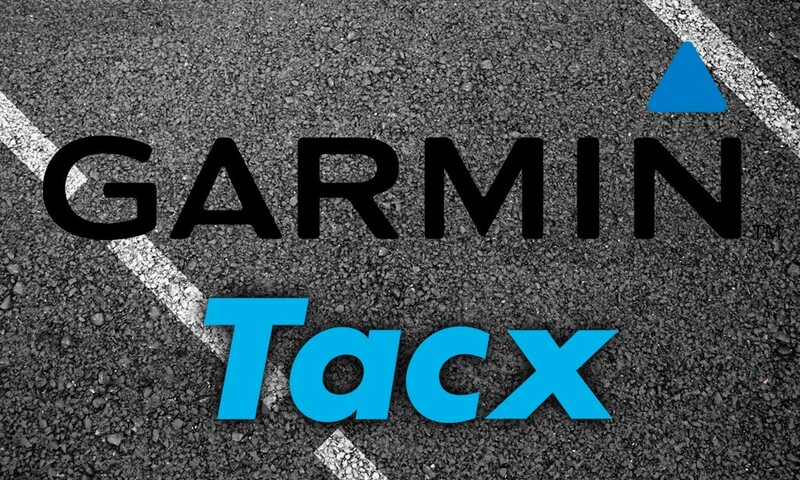 Will Garmin try to resurrect Tacx Trainer Software and take aim at Zwift? I highly doubt it, but if they did they would instantly become the most viable competitor in Zwift’s space, making things really interesting. I’m sure ZwiftHQ will be watching closely. Tacx has stopped selling their TTS SW (which had some Zwift like functionality) since last Nov. They now sell their TDA SW which is more focused on real film video riding although it also supports structured workouts, gpx routes and other. It was truly amazing it lasted so long in a post Zwift world. What does this mean for Tacx’s other products? Water bottles, bottle cages, jockey wheels, etc. I bought Tacx Genius instead of Neo since it has “free wheel” function as well as better “road like” feeling when riding indoors. Am I stupid since I prefer wheel-on trainer? Maybe they are looking at peloton’s success with their all-in-one solution and see the neo smart bike as a step in that direction. Next, they buy Zwift and they’ll have the peloton killer. USB cable support along with the wireless protocols. The Garmin of yesterday was very stubborn and resistant to change. In the last few years I’ve seen them move from crappy proprietary map systems, wireless protocol, and apps to a much more open and useable systems. Let’s hope that trend will.continue and they can make some awesome stuff out of the acquisition. Some emotive stuff here. As for TTS – the real life videos are second to none and the VR graphics are actually better than Zwift. Yeah, but real life videos are interesting once in a while, but boring as hell most of the time. 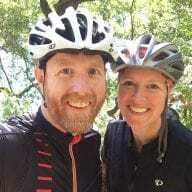 Riding with other people is what makes zwift fun and engaging. Group classes are what pull in Peloton people. VR graphics quality sort of matters, but not that much. Garmin didn’t make this buy to go at it half baked. They will go after Zwift, and then Peloton, which is where the money is. That’s going to require a simple all-in-one that doesn’t require Bobby and Suzy home exercisers to figure out how to change cassettes or how to wrestle with three different ant+ or BT connections. I wouldn’t be surprised if Zwift acquired a trainer manufacturer in the future, but if they did I would hope it would be one already making a decent product. I just hope Garmin fill the poor supportability gap and finally update the software that will allow me to calibrate my Vortex; that functionality broke when they updated the app in 2018. Fingers crossed for a little better support! Garmin vs. Wahoo: This could shape up to be a Mac vs. PC or Ford vs. Chevy kind of rivalry. But the best thing is that it will probably produce great cycling accessories for cyclists for both inside and outside cycling. I agree with Neil, but I am nervous that Garmin will drop support of the Vortex altogether, since there are so many problems with the Vortex, If they do, I hope they at least release the dang Vortex software into the public domain so that others can get the base code and try to fix the many issues. Of course, this is assuming that most of the Vortex issues are software not hardware.